How did Johannes Kepler’s career develop? 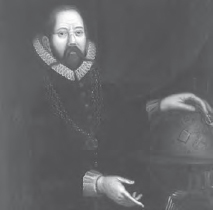 Kepler (1571–1630) studied astronomy and was prepared to become a Lutheran minister, when he was appointed a mathematician at the University of Graz. At that time, mathematics included both astronomy and astrology. In 1596 he published the Mysterium Cosmographium, which was the first comprehensive work on astronomy that was based on the Copernican system. At the time, Graz was dominated by Catholics, and Kepler had to flee on religious grounds, because he was a Protestant. He went to Prague, where Tycho Brahe (1546–1601), the famous observational astronomer, had an observatory. Kepler composed a defense of Brahe’s observations against Nicolaus Ursus, who had attacked them as “mere hypothesis.” Kepler also claimed that, in addition to merely selecting the Ptolemaic or Copernican system, independent physical explanations are necessary. Using Tycho’s observational data, Kepler then began work on the orbit of Mars. After Tycho died, Kepler was given his position as Imperial Mathematician, and also complete access to all of Tycho’s data. In 1609 Kepler published A New Astronomy Based on Causes or a Physics of the Sky. Kepler then had to leave Prague for the same reasons he had fled Graz. After he went to Linz, his research included music, theology, and philosophy, in addition to mathematics (which included astronomy). In his 1612 Epitome Astronomiae Copericanae he again emphasized the importance of causal explanation, as well as observational predictions, in studies of the movements of the planets. His 1618 Harmonia Mundi was the final expression of this thought. He said of this work: “It can wait a century for a reader, as God himself has waited six thousand years for a witness.” Kepler was not the last great astronomer to believe he had special information about God. Isaac Newton’s (1643–1727) work was to take the same high tone. Tycho Brahe contributed to the heliocentric model by calculating measurements that helped confirm Copernicus’ theory (Art Archive).